When we said we wanted our kids to share, we didn’t mean pink eye! Get fast relief from our family medicine providers and a follow up call to make sure you are getting better. Patients are seen by appointment or on a walk-in basis. We welcome everyone ages one and up. Let us diagnose and treat you and your child starting at age one for strep throat, influenza, tetanus shots, chicken pox, acne, eye irritations, constipation, back pain, irritable bowel syndrome, or to get a physical for school and sports. PromptMD is New Jersey state-approved for all vaccinations. 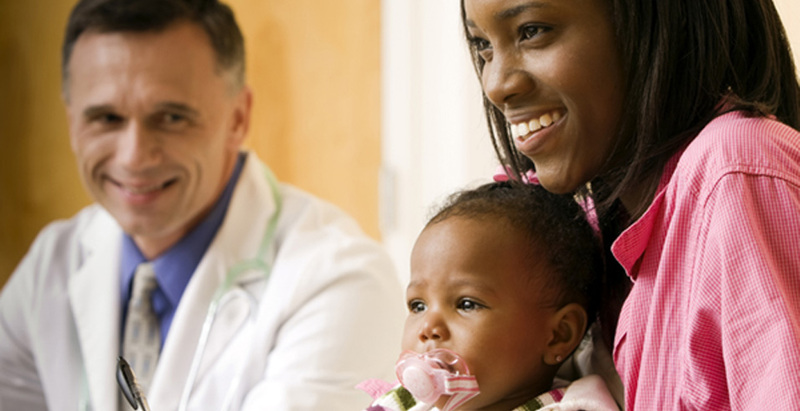 PromptMD provides convenient and thorough care for the whole family. With convenient weekend hours, the whole family can come in to get flu vaccines. Make sure you have an adequate supply of antibiotics before you go on vacations. Want the same great care seven days a week? Head to one of our Urgent Care Centers, conveniently located in Hoboken and Edgewater.